Stuck on the latest KenKen? Need help? KenKen is a Japanese number puzzle that has been around since 2004 but only recently went mainstream in the US. 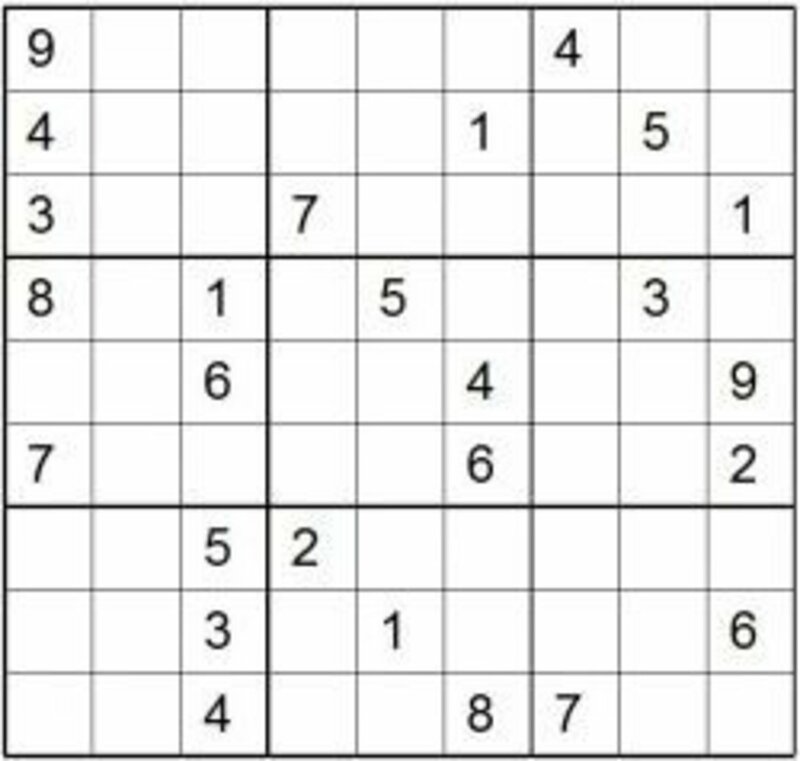 Have you tried this sudoku / killer sudoku / kakuro number puzzle yet? 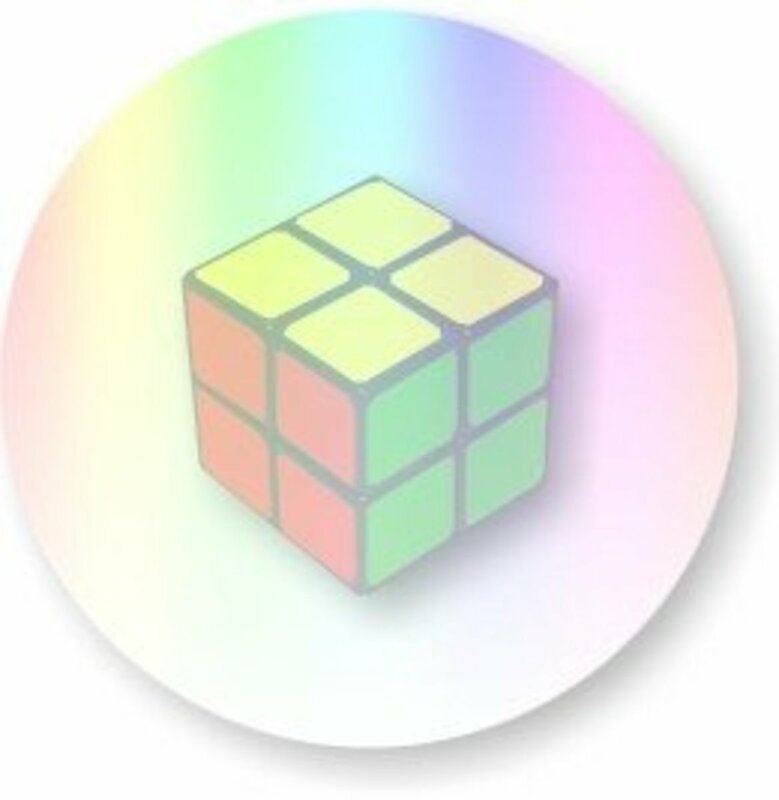 This puzzle comes in several different sizes and each puzzle presents its own challenges. 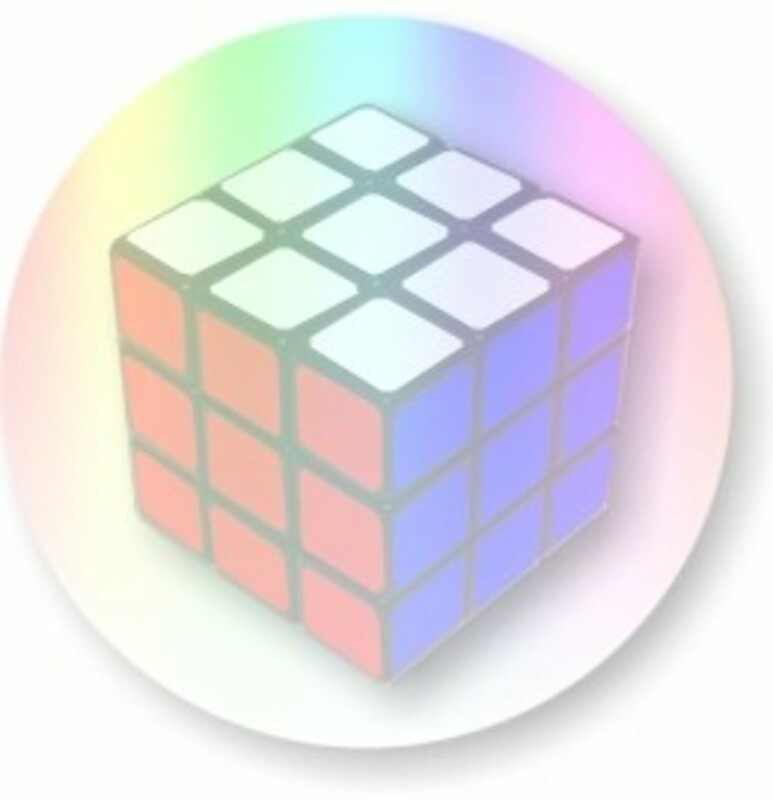 If you're looking for KenKen solving tips, hints, and strategies, this is the place to be! Are you a KenKen expert? Can you rock any KenKen puzzle presented to you? Fun and entertaining challenge for me. 6 new puzzles everyday of varying difficulty. The New York Times presents a couple new KenKen puzzles everyday. Obviously, you should fill in the single square cages first with their indicated number. Leave large cages alone until the end. This is a good general solving strategy. Often, cages covering two squares will only have a single combination of numbers that will fit. For example, a 3+ or 4+ cage over two squares must be filled in with a 1 and 2 and a 1 and 3, respectively, although either digit can go in either square. This will give you an automatic twin in the cage's row or column though. Other numbers to look for are the sum of the largest two numbers of your KenKen dimension (17+ for a 9x9, 15+ for an 8x8, etc.) and the a subtraction between the largest and smallest numbers (8- for a 9x9, 7- for an 8x8, etc.). Again, this will give you twins. If you're familiar with sudoku, you already understand twin strategy. If not, it basically means those two numbers must be in those two squares, meaning they cannot be options in the rest of the row/column. Similar to the addition and subtraction limits, there are many two square cages for multiplication that can be filled in with their options right away. The first ones to look for are numbers that are divisible by 5 or 7. These cages must include a 5 or 7, respectively, and the second option is automatic. The only other two square multiplication cages you can fill out are 2x (1 and 2), 3x (1 and 3), 4x (1 and 4), and 9x (1 and 9). You can extend the previous strategy arguments easily to three square cages. It gets a little trickier when you start approaching cages that span more than one row or column though, however there are certain ones that are automatic. For three square, L-shaped cages, again look for 2x, 3x, 5x, and 7x. These fill in with the given number in the shared square and 1's in the other two squares. Don't forget that you can multiply by 1 and, with the L shape, you can use the same digit more than once in the same cage, so 4x could be 1, 2, 2 or 4, 1, 1. The next step is to know the options limited to the other cages, particular when there are only two or three sets of numbers available. It's easier to start with two square cages such as 4/ (1 and 4 or 2 and 8), 3/ (1 and 3, 2 and 6, 3 and 9), and 12x (2 and 6 or 3 and 4). 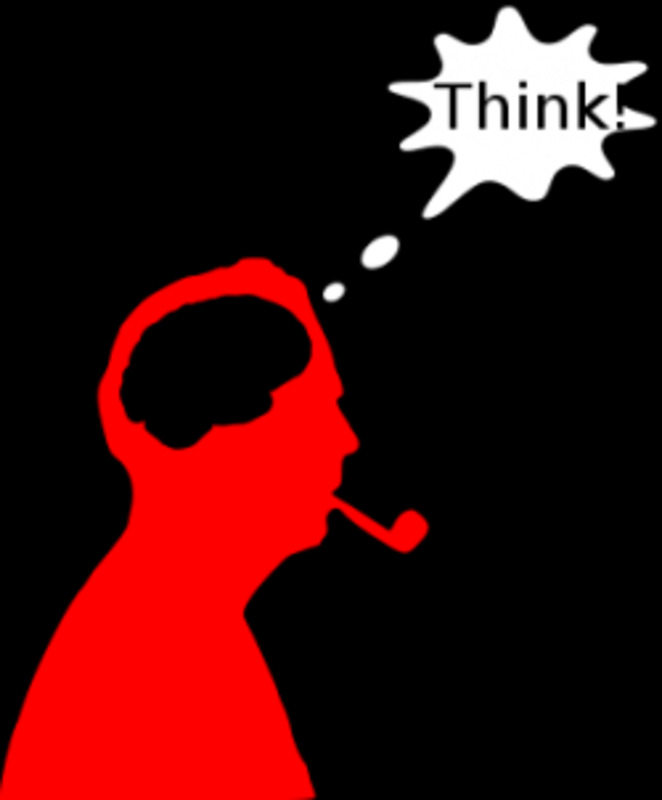 If there's already a twin in the row or column, then you can further reduce your options and perhaps get another twin. For multiplication cages with a number divisible by 5 or 7, a 5 or 7, respectively, must be in the cage. 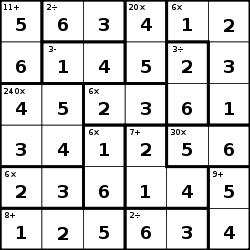 For 5x5 or smaller KenKen's, this also applies to the number 3. This may help you break down the rest of the cage, particularly three square cages. If you go through a row or column without any multiplication cages that are divisible by 5 or 7, you know the 5 or 7 must go in one of the addition or subtraction cages. Once a row is down to four or fewer squares (whether the other squares are filled in or are twins or triplets), you can start putting down the options for the other squares, often eliminating enough options based on the other rows or columns. This is particularly useful when you're still trying to place a 5 or 7 for the reasons above. As you're doing this, don't forget to check the cross cages. For example, let's say you're trying to place the number 6 in a given row. There's a two square cage of 2- shared with the adjacent row. If that adjacent row already has a 4 and 8 filled out, then you know the 6 can not be in the 2- cage. For a 9x9 KenKen, the digits in any row or column must sum to 45 (you can easily calculate what this needs to be for smaller KenKens). You can use this to your advantage. 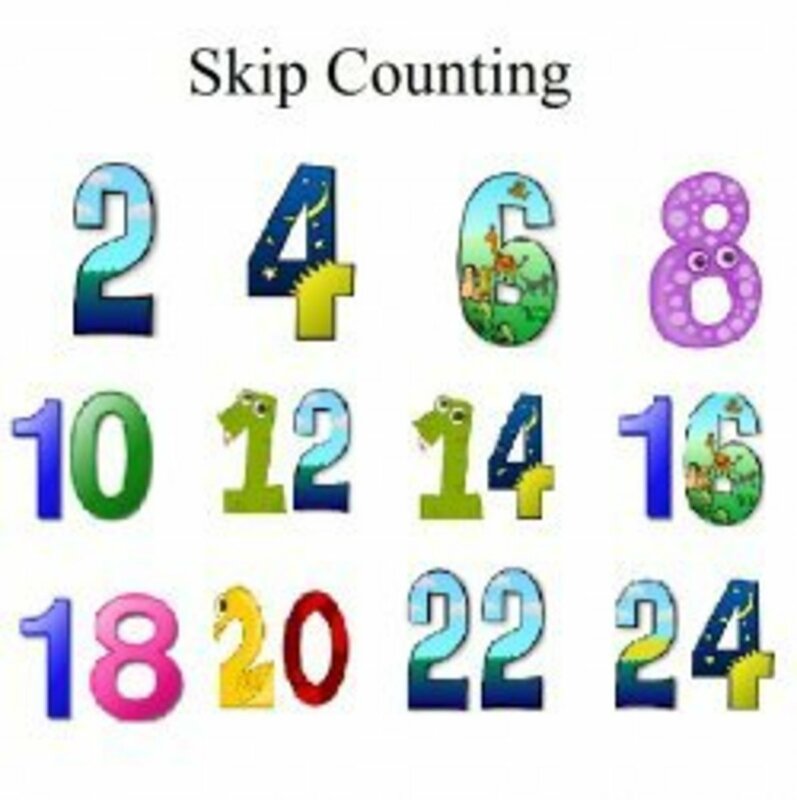 For example, if you have a row or column where there are four squares remaining to be filled in, but three of them are an addition cage, you can add all of the digits you have placed, plus the number in the addition cage and subtract that total from 45 to get the digit of the remaining square. This is a simple example, but can be extended when there are more options and will often fill out the rest of a row or column with twins and triplets. In rare circumstances, this can be applied over multiple adjacent rows and columns that share addition cages, but the total sum then becomes 90 (for a 9x9 KenKen). Getting down to the grind, sometimes you have to assume an option and then see where it takes you. You may end up eliminating options because the rest of the row or column can't be filled in correctly, but sometimes it will stretch further into the puzzle before you run in to a stumbling block. It's almost more beneficial to figure out the option is incorrect first so you can fill in the correct one. Got any KenKen strategies to share? - Fan of KenKen puzzles? I like these strategies , these will help me a lot. but I get the hang of it later on. very good lens. 5 stars from me. For some videos to learn basic and advanced kenken, check out http://mathmojo.com/kenken.